On completion Liverpool Shopping Park (LSP) is set to become Merseyside’s premier Retail and Leisure Park. Upon completion LSP will be one of the largest schemes of its’ type in the United Kingdom, measuring over 700,000 sqft of rentable space. Phase One opened in October 2017 with work on further phases commencing in early 2019. 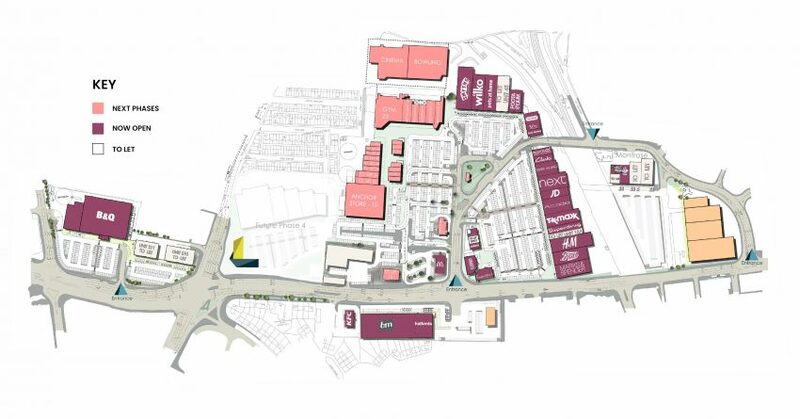 The Derwent Group are actively engaging with major retailers, MSU’s and foodstore operators to anchor the scheme in key prime units at Liverpool Shopping Park, and an array of other retailers across the fashion and homeware sectors. In addition to this, there will also be a considerable leisure offer at the scheme, including ‘pod’ and drive-thru units, a cinema, a bowling alley and a gym/health club. Liverpool Shopping Park will be the destination retail and leisure park in Merseyside. LSP will be the largest retail destinations in the UK. The scheme will provide over 1,500 free car parking spaces. Within minutes of the M62, serving Merseyside, Manchester and beyond.